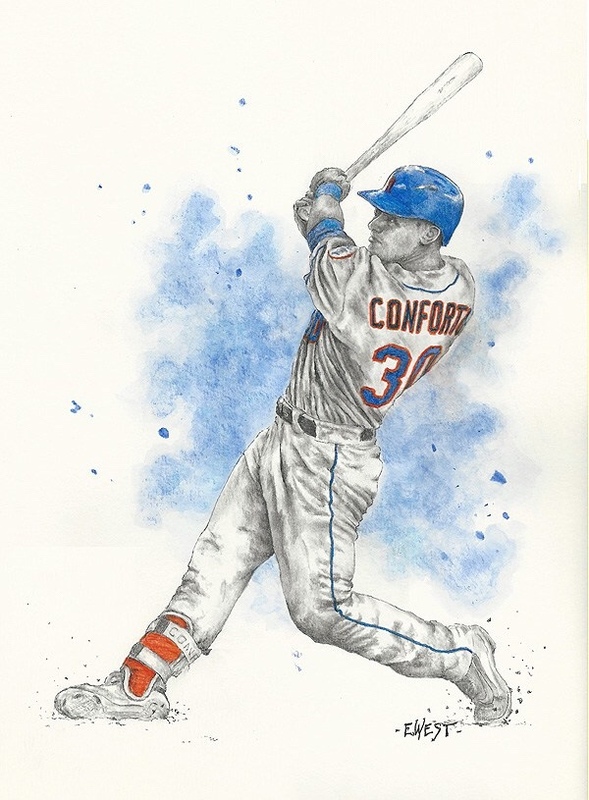 Conforto was born in Seattle, Washington on March 1, 1993. As he got older, he attended Redmond H.S. then graduated on to Oregon State University. At 6’1, 215 lbs, Conforto is a well-proportioned athlete with the look of a football linebacker. His strength is a tremendous asset, but he is very measured in his approach at the plate. Conforto drives his strong hands through the ball, and he generates plenty of loft and backspin with his uppercut swing. Slow afoot, Conforto has limited OF range. He is best suited to play LF, with average arm strength and overall defensive ability. Conforto will likely reach most balls hit in his general area. Conforto is a hitter. He will get better and better with more exposure to quality pitching and more familiarity with good breaking balls. Conforto’s knowledge of the strike zone and his knack for letting a pitch travel to him allows him to make hard contact. Ultimately, Conforto projects to be a run-producing power hitter with selectivity and maturity to be a major league offensive force in the lineup. His ability should allow him to avoid lengthy slumps. In 2015, Conforto appeared in 56 games while coming to bat 174 times. He had a slash line on .270/ .335/ .506/ .841 and a 130 OPS+. His nine home runs & 14 doubles put Conforto on the fast track to join his peers in Flushing, Queens. In his career, Conforto has 350 hits, 80 doubles, 3 triples, 76 home runs, and 194 base on balls. His slash line is .251/ .341/ .476/ .825 & a 125 OPS+ over the span of four seasons. In 2019, Conforto will only be 26 years of age & Mets fans should expect to see him enter his prime playing days.